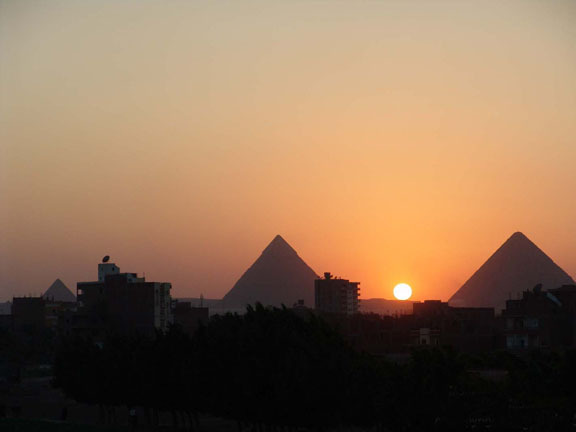 The pyramids served as monumental burial sites where the Pharaohs, the Ancient Egyptian kings, were buried. 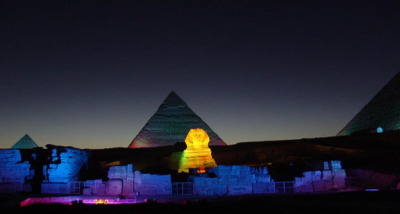 The Giza Plateau is the site of some of the most impressive ancient monuments in the world, including the Great Pyramid of Giza, the Great Sphinx, and a number of other pyramids and temples. 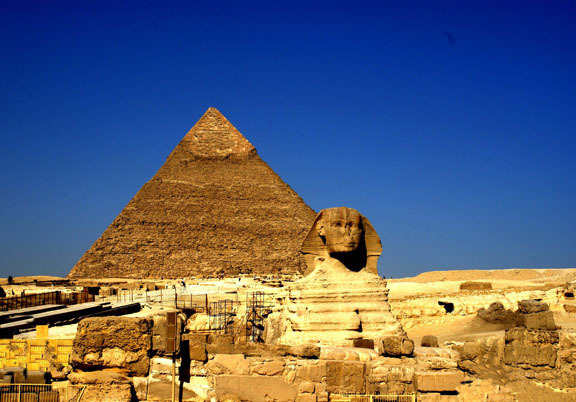 The Giza pyramids are guarded by the Great Sphinx, the largest monolith statue in the world. 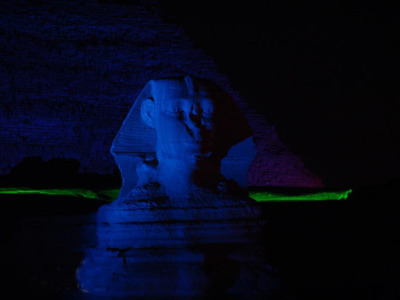 The face of the Sphinx is generally believed to represent the face of the Pharaoh Khafra. The pyramid was built over a 20-year period concluding around 2560 BC. As many as 100,000 workers were involved in the construction. Most experts believe it was built by moving an estimated 2.3 million huge blocks of stone from a quarry and dragging and lifting them into place. Building the pyramid in 20 years would mean installing about 800 tons of stone every single day. The workmanship is so accurate that the four sides of the base have an average error of only 2.3 inches in length. 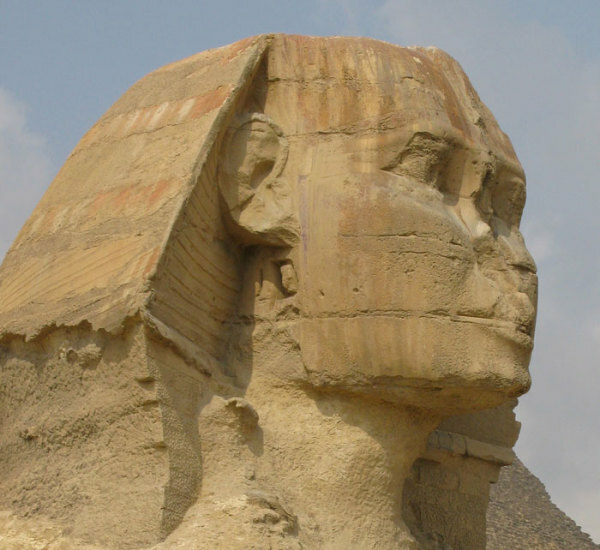 The Great Sphinx of Giza is located near the pyramids. A sphinx is a mythical creature with the head of a human and the body of a lion. Built during the reign of the Pharaoh Khafra (c. 2558–2532 BC, it is the largest monolith statue in the world, standing 241 feet long, 63 feet wide, and 66 feet high. Until the Lincoln Cathedral was built in England in 1311, the Great Pyramid of Giza held the title for the world´s tallest man-made structure for an incredible and unparalleled 3,871 years! It is 455 feet high. Take a look at what it's like to climb INSIDE the Great Pyramid!